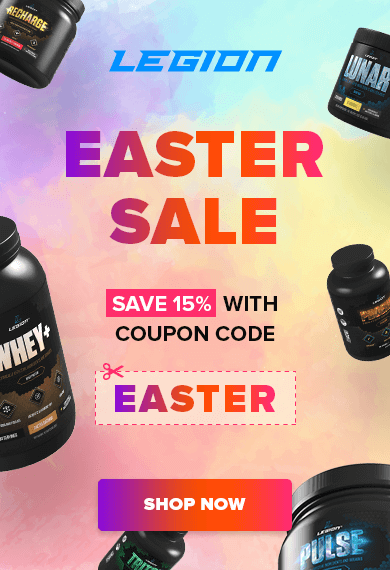 The “fat burner” is one of the most popular–and profitable–supplements on the market today, with an almost endless supply of options. How can we know which are good and which aren’t? How well do these products actually work, though? Enough to warrant the significant expense? What Makes a Good "Fat Burner"? What did you think of this guide on fat burners? Have anything else to share? Let me know in the comments below! One of the reason fat burners sell so well is the moniker itself: when you’re trying to lose fat as efficiently as possible, then a “fat burner” just sounds like a perfect addition to your regimen. Anything that “burns fat” is worth a go, no? It’s not that simple, though. No natural substance can just “burn fat” outright, regardless of how complex or pseudo-scientific the explanations are. You see, in order to sell you on their fat burners, supplement companies will often talk about increasing fat oxidation rates, preserving lean mass, supporting the thyroid, inducing thermogenesis, inhibiting enzymes related to fat storage, inducing enzymes that cause fat loss, manipulating hormone and neurotransmitter levels, reducing water retention, improving nutrient partitioning, and more. You can speed up your basal metabolic rate. This is because when you boil fat loss down to its utmost simplicity, it’s determined by something known as your body’s energy balance, which is the difference between the energy your body burns and the energy you feed it with food. Expend more energy than you consume over time, and you’ll lose fat. 1. Encourage a cell to produce more energy from carbohydrates and fatty acids. 2. Reduce efficiency of the process through which cellular energy is produced, thus increasing the “energy cost” of meeting the body’s needs. There are ways to manipulate those mechanisms through supplementation, and we’ll get to them in a minute, but they’re not as numerous or powerful as some supplement companies would have you believe. You can prevent hunger or cravings from ruining your plans. A major reason even good diets fail is people just aren’t able to stick to them long enough. Wishes turn into cravings and ultimately binges, which can undo days or even weeks of hard work if it really gets out of hand. While some people have an easier time than others, almost everyone has to deal with hunger and cravings to one degree or another. It’s just human nature to want to indulge in food after accidental or intentional deprivation, and regardless of whether it’s normal, it’s still interfering with your goals. Some natural compounds are known to reduce hunger and others are known to increase the sensation of fullness you get from a meal, and a combination of proven molecules can be used to successfully reduce hunger and cravings and derive the maximum benefits from your diet. You can make the overall experience of dieting more enjoyable. Make no mistake: while changing your body with diet, exercise, and supplementation can dramatically change your life for the better, it’s not easy. No amount of pills or powders is going to get you there. It takes hard work, and it takes time. And this is another major reason why diets fail: people don’t want to go through the discomfort of it all. 1. Utilizing a modest calorie deficit. 2. Eating foods you like. Ignore the members of the cult of “clean eating“–fat loss doesn’t require abstaining from 57 different types of carbohydrate, including sugar, or anything other type of food, really. Yes, you should get the majority of your daily calories from nutritious foods, but that gives you a lot to choose from. Unless you’re a junk food addict, pretty much anything you’d actually want to eat every day can and should be worked into your meal plan. As you’ll soon see, supplementation can help with overall satiety and well-being, which makes it even easier to stick to your diet. What Makes a Good “Fat Burner”? Although the physiological machinery involved in fat loss is vast and complex, the practical application remains simple. Contrary to what many supplement companies would lead you to believe, directly stimulating any of the thousands of proteins and enzymes involved in fat loss either doesn’t work or is uninvestigated. Fat loss is a whole-body process, and for a fat burner to be truly based on good science and noticeably affect fat loss results, it should focus on simple, key, and proven targets because then everything else activates and functions accordingly. Thus, a good “fat burner” would increase our basal metabolic rate, would reduce hunger and cravings, and would increase satiety and feelings of overall well-being. Let’s look at some natural molecules often found in fat burners that can and can’t get the job done. Caffeine helps you lose fat by simply increasing your body’s daily energy expenditure. As weight loss boils down to energy consumed vs. energy expended, caffeine helps you maintain a calorie deficit. Caffeine has other benefits for us fitness folk, though. It improves strength, muscle endurance, and anaerobic performance, and also reverses the “morning weakness” experienced by many weightlifters. Caffeine is a well-tolerated and effective fat loss aid and should be included in or with a good fat burner supplement. How did such a seemingly random compound find its way into weight loss products? Well, it started with a couple animal studies. One demonstrated that raspberry ketone supplementation prevented weight gain by increasing lipolysis and fat oxidation, and the other backed up this mechanism. The in vivo rat study that demonstrated weight gain prevention used an absolutely massive oral dose: up to 20 g/kg of body weight, or 4761 times greater than the average human intake. There is insufficient evidence to support the use of low oral doses of raspberry ketone for fat loss purposes. It has no place in a fat burner supplement. Synephrine is a chemical compound found in certain types of citrus fruits (particularly the bitter variety). It’s chemically similar to ephedrine and catecholamines (the chemicals adrenaline and noradrenaline, which cause the breakdown of fat cells), and although less potent than those two, it induces similar effects. Furthermore, research shows that synephrine works synergistically with caffeine to enhance both caffeine’s and its own fat loss properties. The synergism noted in a standard “ECA” (ephedrine, caffeine, and aspirin) stack also applies to synephrine. Additionally, anything that has the ability to increase catecholamine activity can also suppress hunger between meals (a component of the fight or flight response), and thus synephrine is generally considered to be an appetite suppressant. Syneprhine is also a safe, proven fat loss aid that should be included in a fat burner supplement. Garcinia cambogia is a small fruit often used in Indian and Asian cuisine to impart a sour flavor. It’s a good natural source of hydroxycitric acid, and has received a lot of media attention recently as a weight loss aid. These claims are unfounded, however. Like many fad supplements, garcinia cambogia has some animal research on its side, but human research is contradictory and hard to interpret. The human research bursts that bubble, though. The research currently available says that, despite its current popularity, garcinia cambogia probably won’t help you lose weight and thus isn’t worth including in a fat burner supplement. Green tea extract is an herbal product derived from green tea leaves. It contains a large amount of a substance known as a “catechin,” which is responsible for many of tea’s health benefits. One of these benefits relates to weight loss: Research has shown that supplementation with green tea extract reduces total fat mass, accelerates exercise-induced fat loss, and can help reduce abdominal fat, in particular. The primary mechanism by which it accomplishes this is inhibiting an enzyme that degrades catecholamines, which are chemicals that mobilize fat stores to be burned for energy. This also makes green tea extract work synergystically with caffeine–caffeine increases catecholamine levels, and green tea extract extends the amount of time they spend in the blood. Green tea extract is an effective fat loss agent as well as an effective weight management agent and can be used in a fat burner supplement to directly help with fat loss and amplify the effectiveness of caffeine and synephrine. Green coffee extract is a supplement derived from green coffee beans. It’s similar to regular coffee beans, but has high amounts of a substance known as chlorogenic acid. This substance is particularly hot at the moment, thanks to people like Dr. Oz and other mainstream “health gurus.” It may not be everything they claim, though. A recent meta analysis of the 5 human trials available found that high dosages of chlorogenic acid via green coffee extract (400-800 mg chlorogenic acid per day) may induce fat loss, but researchers noted that the studies demonstrating this had high risks of bias due to funding sources (for-profit companies producing green coffee extract). Green coffee extract may help you lose weight if taken in high enough dosages. However, until more research is done on it, and particularly unbiased research, green coffee extract’s value as a fat loss supplement is uncertain. Thus, I don’t believe it’s worth including in a fat burner over other proven ingredients. Naringenin and hesperidin are a type of molecule known as a flavonoid and are found in grapefruits, oranges, and the skin of tomatoes. Research shows that these two molecules stimulate the production of a hormone called adiponectin, which is involved in the breakdown of fat cells, and that it activates a type of receptor in fat cells that regulates fat mobilization (the PPARα receptor). Hesperidin is also know for its ability to improve blood flow and reduce inflammation in blood vessels. Research also shows that through these mechanisms, naringenin works synergistically with synephrine and hesperidin to further accelerate the basal metabolic rate. Research shows that a proper dose of synephrine, naringenin, and hesperidin can increase your basal metabolic rate by as much as 183 calories, which is about the same amount of energy burned in 20 minutes of cardio. You can further increase the effectiveness of this “stack” by adding caffeine, which I why I believe all four form a powerful “base” for a fat burner supplement. While there is scientific evidence that carnitine supplementation can help with muscle recovery after exercise, does it have anything to offer in the way of weight loss? Well, it does have a mechanism that is of interest: it increases fat oxidation in the muscles. What this means is it appears to increase the rate at which muscle tissue burns fat for fuel instead of glycogen. Theoretically, this might result in additional fat loss while exercising. Actual research is less than promising, however. There’s evidence that carnitine can reduce fat mass and increase muscle mass in the elderly, but these effects were not seen when it was tested with overweight pre-menopausal women. Animal research has also failed to demonstrate any weight loss benefits when simply combined with a calorie-restricted diet. Thus, scientists don’t know yet if carnitine’s metabolic effect are profound enough to actually accelerate weight loss when combined with exercise. Animal research says no, as well as a human trial (which isn’t definitive due to flaws in design, but is worth noting). Unless your body’s ability to oxidize fat is impaired by disease or dysfunction, the research currently available says that carnitine supplementation isn’t likely to help with weight loss. There’s no reason to include carnitine in a fat burner supplement. 5-HTP is a compound involved in the metabolism of the amino acid tryptophan, which is found in foods like milk, meat, potatoes, pumpkin, and various greens. It’s converted into serotonin in the brain, which is one of the principal neurotransmitters involved in feelings of happiness. 5-HTP is used over L-tryptophan as it can cross the blood-brain barrier (whereas L-tryptophan can’t), and used preferentially over serotonin itself due to a greater safety profile with oral administration. Research shows that, when taken with food, 5-HTP increases feelings of fullness and thus helps you control your food intake. Furthermore, studies have demonstrated that 5-HTP’s satiety mechanism can reduce cravings for carbohydrates in particular. For most people, the toughest part of dieting is just sticking to it. Anything that naturally and safely helps reduce the desire to overeat is worthwhile, and that’s why I like to see 5-HTP in a fat burner supplement. Forskolin is found in the Indian herb Coleus forskohlii and has long been used in Ayurvedic medicine to treat heart and respiratory disorders. Supplementation with forskolin increases blood plasma and intracellular levels of a molecule known as cAMP (cyclic adenosine monophosphate), which functions as an intracellular “message relayer” vital to various biochemical processes including the regulation of glycogen, sugar, and lipid metabolism. cAMP and ATP–adenosine triphosphate, the most basic form of cellular energy in the body–interact in a very simple yet powerful way in the cell. When ATP is high it indicates a plentiful energy state and the body will aim to store and build tissue, but when cAMP is high it signifies a lack of ATP and thus initiates a process to make more ATP by burning through energy reserves. Forskolin activates an enzyme known as adenyl cyclase, which converts ATP to cAMP, thereby greatly increasing the ratio in favor of cAMP and initiating the energy-burning process. Furthermore, forskolin’s effects are amplified by the effects of synephrine. This isn’t just abstract theory, either: research shows that supplementation with forskolin accelerates fat loss and increases testosterone levels. Forskolin can accelerate fat loss through proven, well-understood mechanisms and is a worthwhile inclusion in a fat burner supplement. Yohimbine is a substance found in the Pausinystalia yohimbe plant, and helps block a mechanism in fat cells that prevents weight loss, which in turn speeds up fat loss. There’s a catch, though: you must be in a fasted state for it to work (check out this article on fasted training for more information on this). The insulin spike that occurs after eating a meal completely negates the beneficial effects of yohimbine. As with anything, excess doses of yohimbine can have negative side effects. Don’t go crazy with this. Furthermore, yohimbine has been shown to raise blood pressure. If you have high blood pressure, I don’t recommend you use it. Yohimbine is an effective fat loss accelerator, but I generally don’t like its inclusion in fat burner supplements because some people experience the “jitters” from it. Thus, I think it’s better sold and taken separately so it can be dropped out if necessary without having to lose the benefits of the rest of the fat burner. Many fat burners contain ingredients like raspberry ketones and garcinia cambogia that have been scientifically proven to be ineffective. Most fat burners don’t contain many of the ingredients listed above scientifically proven to be effective, and those that do almost always use tiny dosages that simply won’t deliver the same results seen in clinical studies. Almost all fat burners contain a long list of ingredients that have no research whatsoever related to fat loss. The sad truth is the majority of fat burners on the market contain little more than a handful of cheap stimulants to make you feel like you’re burning fat and a smattering of underdosed, unproven, or ineffective (and often all three!) ingredients thrown in to pad the ingredients list and make you think you’re getting a lot for your money. While there have been a couple decent fat burners over the years and I’ve used and recommended them, they always fell short of what I really wanted to see in terms of ingredients and dosages. Thanks to your support of my writing and supplement line, LEGION, I’m finally able to just make the fat burners I always wished someone else would make: PHOENIX and FORGE. FORGE is a fat burner made specifically for use with fasted training. It helps you lose fat–and “stubborn” fat in particular–faster, preserve muscle, and maintain training intensity and mental sharpness. If you don’t eat and train correctly, no supplement can save you. That said, if you take the time to inform yourself about what molecules have been scientifically proven to aid in fat loss, and then either find those in a fat burner or make your own using them, you can noticeably speed up fat loss without any great cost or negative side effects.